The LED Dimmable BR30 light bulb provides 25,000 hours of service – lasting 15 times longer than incandescents. 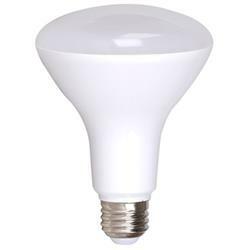 These LED light bulbs are energy efficient and use up to 80% less energy than standard incandescents. It is also equipped with a 105° beam angle that produces even light from the socket base in all directions.